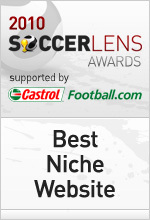 We’ve selected six candidate websites for “Best Football Betting Site” award of 2008. The site with the most number of votes by December 15 wins the 2008 Readers’ Choice award. A Judges’ Choice award will also be awarded at the same time.